Automatic trimming, sealing Rewinder based on the function of YD-E Rewinder. 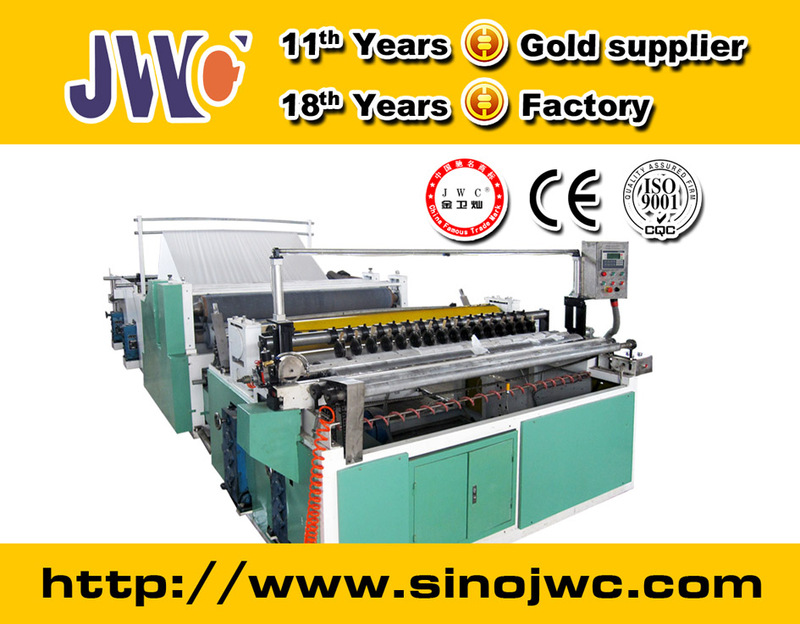 It integrated the developmental demand of customers and designed economical automatic rewinding machine. We in dependently developed long-distance communication service system. It can detect the machine running at any time. It's can add newly designed coreless shaped rewinding system as required by customer. 1.Advanced PLC programmable control technology, the winding profiles can be tight at the beginning of winding and then getting loose, to avoid the problems that the cores are loose from the rolls after long time storage. 2.Variable speed adjustment. Operating every facilities freely. 3.Loading and position cores by hand, saving time and strength. The special located equipment save area for customers. The machine starts winding again after finishing winding. 4.Pneumatically adjust the degree of tightness of the finished product, keeping diameter of finished product with one accord. 5.With high precision screwy perforation knife. With 4 perforation blades to make clear perforating. The perforating pitch controlled by gear box. 6.Three backstands pneumatically wide belt paper unwinding driving and individual web tension control unit for each jumbo roll. 7. Point to point embossing unit the paper have clearer and better embossing with light weight. Equip with steel to steel embossing unit according to the need of customers. 8.The web can be feed in the machine by the tow jog buttons, making it more safety and easier to feed the web. Looking for ideal Toilet Paper Making Machine Manufacturer & supplier ? We have a wide selection at great prices to help you get creative. All the Toilet Roll Making Machines are quality guaranteed. We are China Origin Factory of Toilet Paper Production Line. If you have any question, please feel free to contact us.